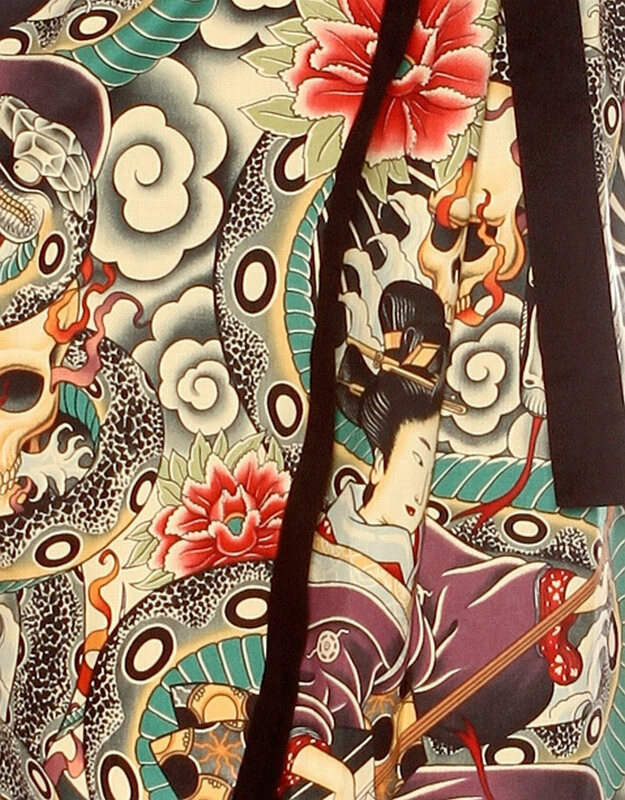 From Folter's 2013 spring collection, the Marked for Life Dress features a geisha girl print design surrounded by skulls, red flowers and serpents. This sleeveless lightweight cotton dress has a vneck top with hidden zipper in the back. Black removable belt ties around the waist. Small Bust 34", Waist 26"
Medium Bust 36", Waist 28"
Large Bust 38", Waist 30"
XL Bust 40", Waist 32"